Ten years into my career and I can finally admit that bookkeeping is boring. I’m done sugar coating it. Most farmers would rather power wash a hog barn than balance a checkbook. And you know what? Even as an accountant, I have those days too. There’s a good chance that accounting will never be the most exciting task on your to-do list. However, there are a few things you can do make bookkeeping easier and your financial records cleaner. Keep your personal transactions and your farm transactions separate. Your accountant, the IRS, and your banker will all thank you later. Commingling business and personal funds is a bad idea. Once a week or twice a month, pay yourself a draw from the farm to the personal account. Stay disciplined by spending out of the right account. This one step will give you instant feedback about how personal living expenses and off-farm income sources are impacting your farm operation. 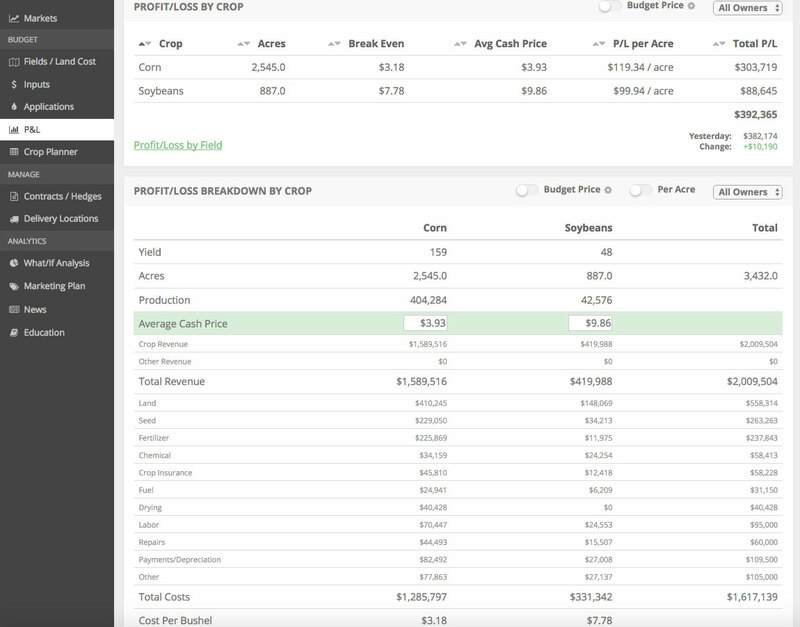 Similar to item one, maintain a separate line of credit for each profit center on your farm. If you have sizeable row crop and livestock operations, for example, it can be difficult to figure out which operation is profitable or cash flow positive. Maybe one side of your farm is borrowing from the other. When you pay the vet bill, borrow on the Hog LOC. When you deliver forward contracted soybeans to the plant, pay down on the Crop LOC. When you chop silage to finish steers, pick a fair price to borrow on the Cattle LOC and pay down on the Crop LOC. At times, it can be moving money from one pocket to the other. But, if your cattle feeder hand doesn’t pay your corn farmer hand for the feed, you might think cattle always make you money and crops are dragging you down. All while it’s possible that you are losing money on cattle and could be selling shelled corn for profit to the elevator. Give yourself enough information to see if the flow of dollars matches your gut feel. Log into your accounting software regularly, every few days, to make sure your bank balance jives with your books. Enter checks as you write them and receipts as you deposit them. Reconcile your checking accounts every month when the bank makes the statement available. Spend 15 minutes each week balancing, another 5 minutes a month reconciling, and save yourself hours at year-end trying to remember why you wrote that check to so and so. Your accounting software has the tools to keep your payables and receivables straight. Avoid becoming a victim of the stack of mail. Open the mail as it comes, enter the bills into your accounting software, and then write your checks and record the bill payments as needed. Stay organized and win the war against the mail pile and late fees. Likewise, keep track of who owes you money. If you perform custom work or feeding, getting paid can be a big challenge. Profitability hinges on turning your physical work into an invoice, which turns into cash. Disorganization in A/R leads to missing revenue if you forget to bill or your customer forgets to pay. Let the software reporting tell you who has paid and who needs a reminder. Get the cash, pay your bills, save interest expense, and breathe a little more freely. You need enough income and expense accounts to make sense of your Profit & Loss statement, but not so many that every transaction has its own line item. I’ve seen small business code the majority of their expenses to Miscellaneous. How is that helping you manage the business? Give yourself enough detail to be able to reflect back on the year and understand where you spent your money. 6. Where Did All of the Paper Go? Implement a filing system for your source documents. Financial statements are wonderful. I love them as much as the next person. But the bills, invoices, statements, etc. prove your work. Lately I’ve been buying plastic totes that hold hanging file folders inside. Have a separate hanging file for unpaid bills, paid bills, scale tickets, grain contracts/settlements, bank statements, etc. Take the time to label files, so when you need to refer back to the source document it’s easy to find. When the year is over, throw the lid on it and send it to storage. Scanning documents can be a great way to stay organized and also have quick recall. Maybe it’s because I’m an accountant and a bit of a pack rat, but I like the comfort of having the paper handy until I know I’m done with that crop year. We don’t do accounting for the sake of accounting. The regular data entry and journal entries only exist to serve a larger purpose of helping you run your business better by being more informed. If your bookkeeping system doesn’t help you feel informed, you need to adjust your processes. You can hire someone to do every last journal entry, but at the end of the year you can’t give the accountant a hug and absorb financial insight via osmosis. Find a way to stay involved in the process regularly throughout the year. Get the financial feedback you need to reinforce or redirect your management decisions. I hope at least one of these tips was thought-provoking and brought value to you. If you have questions or want to talk accounting shop, the easiest place to reach me is Twitter @kfhauswirth. Kris is a farm kid from Northwest Iowa, with 10+ years in accounting and banking. He lives near Pocahontas, Iowa with his wife and daughter.